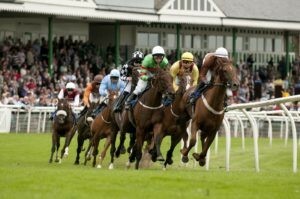 Short Work was beaten, but far from disgraced, when stepped back up to 7 furlongs at York last time and should benefit from the return to what appears to be his optimum distance in the Racing UK.com Handicap (3.45) at Catterick on Tuesday. 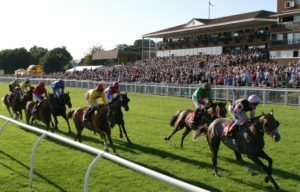 The Kyllachy gelding has held his form well since winning over 6 furlongs at Pontefract, winning two more handicaps over 6 furlongs, including one over course and distance, and running creditably in defeat on both starts over 7 furlongs. Soft ground clearly holds no terrors for David O’Meara’s 4-year-old and, while he’s yet to win in this grade, he’s in the form of his life and only just scrapes into this 0-80 contest. Back over 6 furlongs, off a 1lb lower mark than at York, Short Work looks a decent bet to make it four wins from his last six starts. The kind of name that even those who dislike horse racing will know, Frankie Dettori is a true legend of the sport. Born on 15th December, 1970, the Milanese jockey has set the precedent and the standard for decades to come. A consummate professional, Dettori has been the Champion Jockey on three separate occasions and has been involved in more than 500 Group Race wins. Someone as decorated as Dettori would be hard to do justice to. With over 110 wins across a stellar career, some of his major wins include the 1,000 Guineas 3 times, the 2,000 Guineas twice and the Ascot Gold Cup an incredible five times. Add in a Derby win in 2007, and it’s very easy to see why Dettori is so revered across the board. An incredible competitor, his careers honours list would fill a screen. His sheer variety of steeds which he has won on, too, showcases a rider who can be in tune with any horse he embarks on. Although his achievements are so many it would be hard to find one in particular to fall in love with, Dettori rode all seven of the winners on the British Champions’ Day at Ascot, in 1996. Such incredible achievements surely rank him as one of the most consistent and impressive names within the sport. Although Dettori has had his own personal problems over the years, including a substance-related ban in 2012, he returned to be named the World’s Best Jockey in 2015. Such redemption is merely part of the character of one of the most revered names not just in racing, but in sport. Associations – Godolphin Racing. 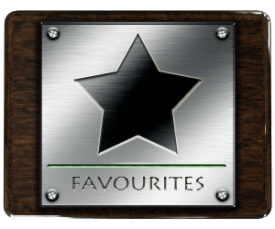 Golden Horn, Trêve, Grandera, Singspiel, Daylami, Swain, Balanchine, Wilko, Raven’s Pass, Electrocutionist, Dubai Millennium, Joshua Tree, Cape Verdi and more. Earnings – $18m total earnings. Breeders’ Cup Juvenile Fillies’ Turf, according to her trainer Jeremy Noseda, so the form looks strong in the context of this race. Sergio Leone has reportedly been working well at Richard Hannon’s East Everleigh base and looks primed to strike after two encouraging efforts.